We visited the Golden City Hotel for lunch. It sits right on Sturt Street in the centre of Ballarat and is a traditional looking pub from the outside. On the inside you quickly realise that it is certainly focused on serving food.. We got one of the last 2 seat tables, but despite the number of diners we were served in a reasonable time. The menu was a mix of traditional Aussie pub food, with a few Italian dishes. I went for the Italian pizza, with hot salami, olives, mushrooms and anchovies. It was a medium size, and just about right for lunch. It was a super thin base, but the dough was good and well cooked. 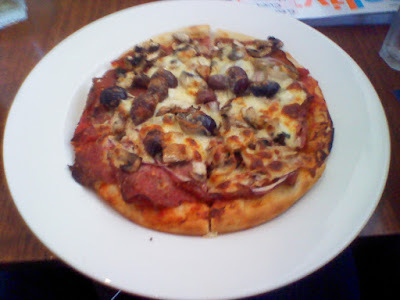 The hot salami certainly lived up to it's billing, and the flavours worked out well. 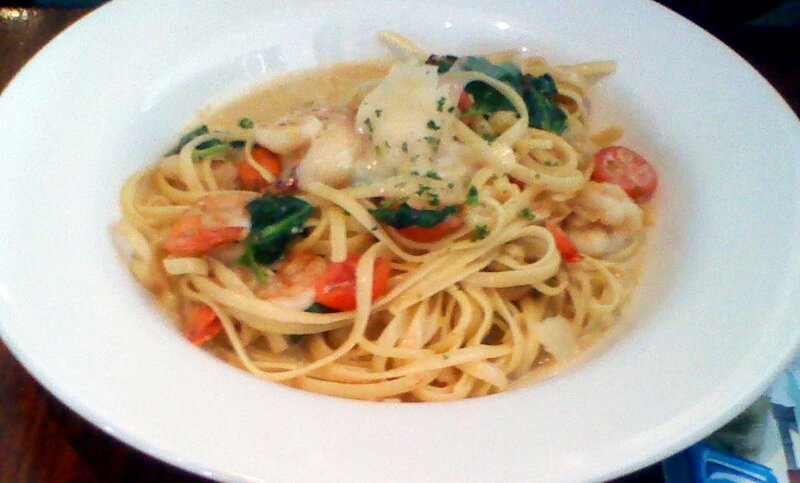 The prawn linguini had a creamy white wine sauce which was a little bland, with not too much evidence of the promised chilli and garlic. The meals were around $20 each... As we don't visit Ballarat often, I doubt we'll be back soon, but we might try the Golden City Hotel again.